If the jobsite is inside or just outside the "box" formed by the 118,405,101, and 23 freeways I can come look at your pool for a free estimate 818-345-POOL(7665) more details on the bottom of this page (and please read note below) work done WITHOUT draining pool! The Virginia Graeme Baker Pool And Safety act is a mandatory federal requirement for suction entrapment avoidance and also will make available 2 million in grants to states that meet safety guidelines to train enforcement personnel and to educate about the dangers of entrapment and drowning and the standards of the safety act. Public pools will need approved drains and/or pumping systems that comply with anti-entrapment standards...the fines can be exceptionally high- up to 1.825 million PER body of water for not complying with new drain law. The device shown below is a mechanical device that lets air into the pump in the advent of entrapment and automatically resets itself - there is also a manually resettable version for areas where a manual reset is required by local code. The beauty of this device is simplicity - no electrical hook up,no plumbing or changing of the pump,and cost savings - this device,in combination with approved drain covers can save a building owner thousands in labor,equipment,refilling pool and chemical costs. 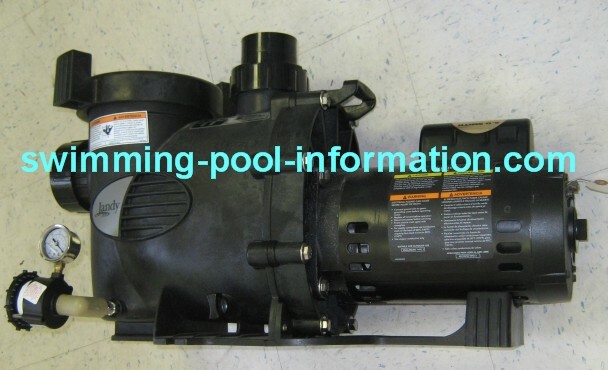 However,I have noticed one potential problem with this device: If you have an older pool with 1.5" or smaller plumbing and an over-sized pump such as a 1 or 1.5 HP Pentair Whisperflo the suction may be so strong it can activate the device,especially when a vacuum hose is attached to skimmer. A stronger spring is available and/or reducing the impeller size may be required. 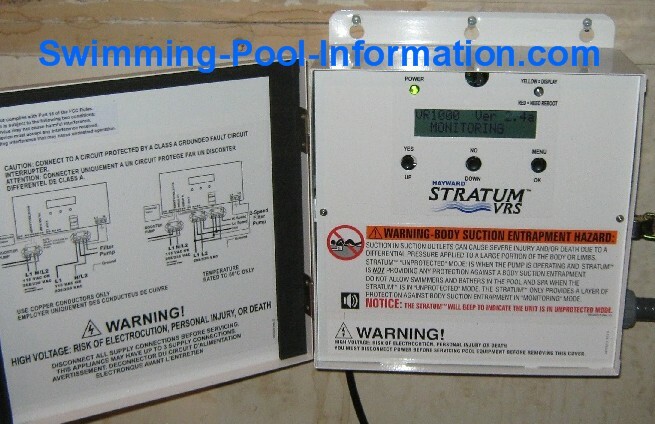 The Vac-Alert (shown at the top of this page) works on basically the same principle as the Vac-Less system shown below but is a more robust system and higher up from the ground. 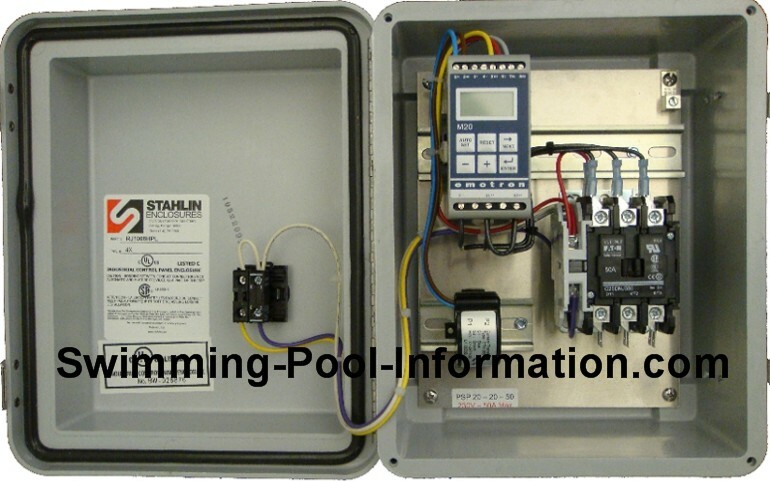 However,this system is a little more expensive and must be manually reset,so lets say a bunch of leaves get into pool and block the flow of water this device will activate until the service tech arrives to reset the unit. I have links to both below photos. The photo below shows the Hayward Stratum VRS. This device is unique because it releases vacuum in addition to shutting off pump,but it is more expensive than a mechanical air relief system. 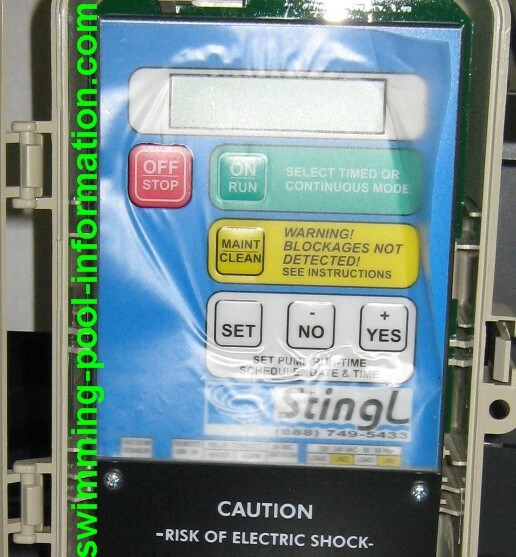 (most building owners I have talked to just want the least expensive way to compliance without pool down time)....for absolute safety and ease of operation,it is probably the best SVRS system overall. The device above is commonly known as the Emotron. It senses a change in amp draw when there is a blockage and turns off pump. It installs between pump timer and the pump itself. 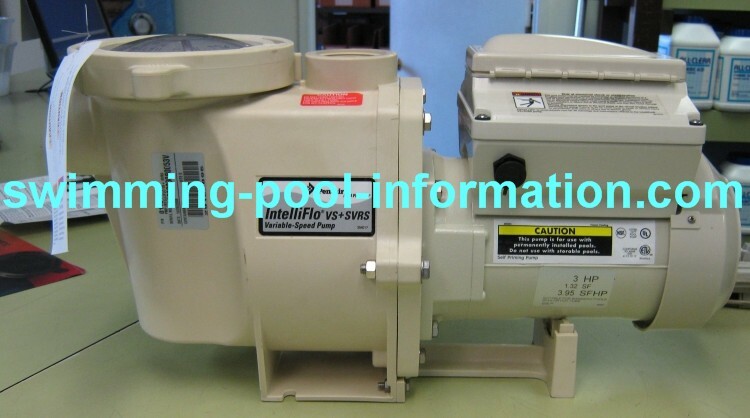 It has an electrical connection only - no vacuum hoses are required as in the Stingl and Hayward Stratum devices. The top and side views above show a channel drain by the Aqua Star Company. This drain is compliant with the Virginia Graeme Baker Safety Act and can be used instead of two separate drains and comes with a prefabricated sump which greatly simplifies installation. 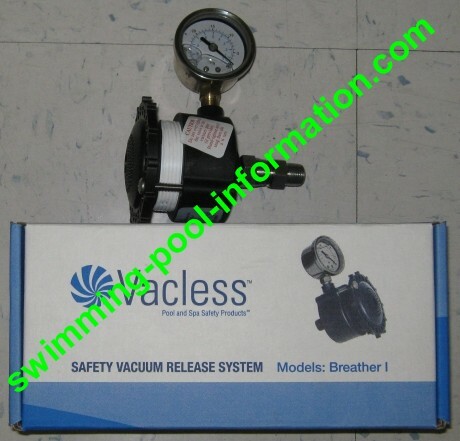 It can be attached to one or more plumbing lines and has a flow rate of 316 GPM @ 3.9 FPS when installed on floor of pool. It qualifies as an "unblock-able" drain in Los Angeles/Ventura Counties. 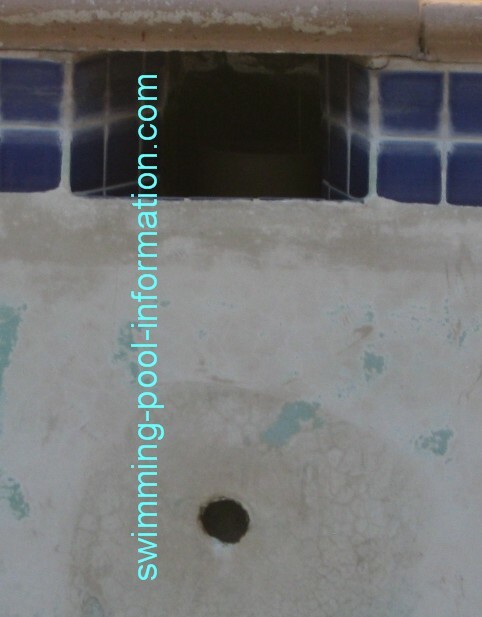 But to install this main drain,the bottom of pool structure needs to be cut out more than four inches in depth,and rebar may have to be removed,possibly making the pool shell weaker. 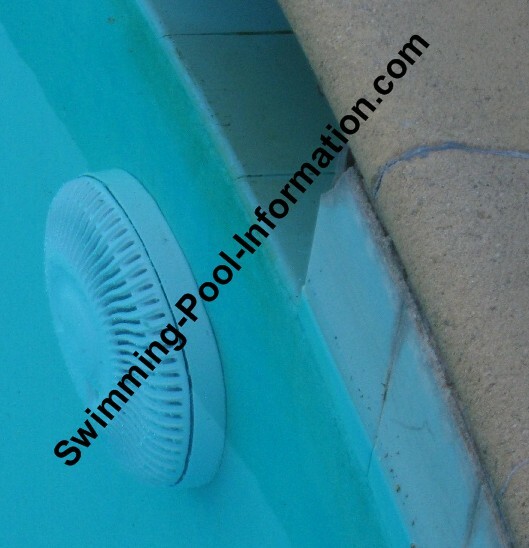 UPDATE: I believe this drain in fine for a pool,especially when connected to a skimmer and the flow of water is through a filter and other equipment such as a heater or solar. However,on a spa where the drain is directly connected to a high flow jet pump,entrapment MAY still be possible. Above and below is the Aquastar R8HP101 drain cover which does NOT require a sump but is only approved on vertical surfaces in Los Angeles County. I usually use these on spa jet pumps since they have a 224 GPM flow capacity. 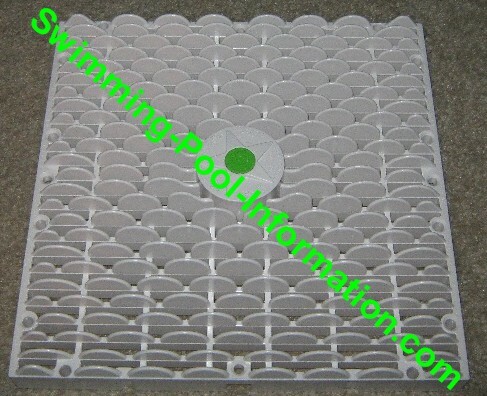 The Paramount SDX pool drain cover kit above has an adapter (left in black) that can be attached to almost any drain. The cover on the right goes on the adapter with tamper resistant screws. 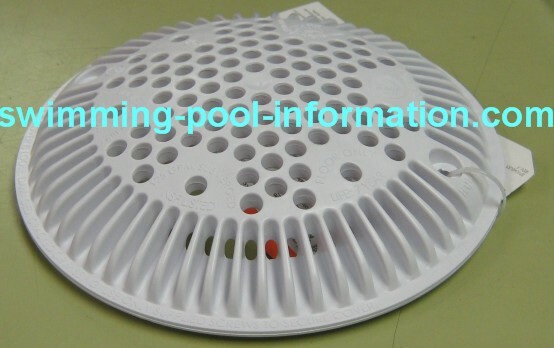 In most cases,no additional sump work is needed to bring drain up to code - BUT if your pool has only one drain,a SVRS device must also be used in conjunction with the cover. This cover also comes with an adapter that qualifies the cover to be used on an equalizer port that has no sump. Below is another version by Waterway which has a more gradual rounded incline which is probably a little better for pool vacuums and automatic pool cleaners,and costs less. However it has a lower flow rate so may not work for high flow situations such as spa jets. 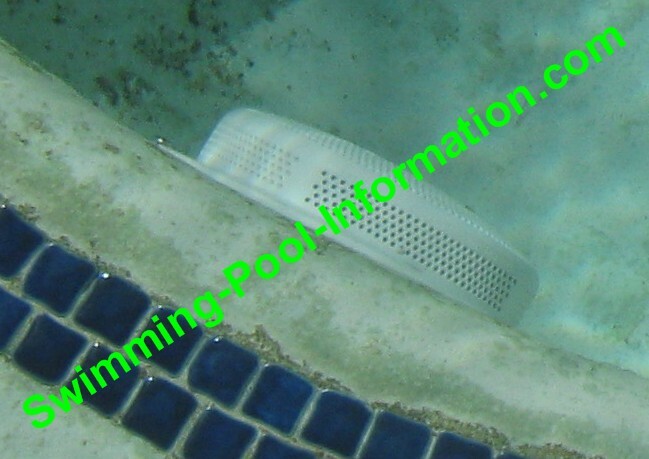 UPDATE: as of 11/20/08 the Los Angeles Department of Health,Swimming Pool Division has said that public pool main drains must be split or unblock-able such as a channel drain. If the drain is split into two separate drains both must have approved covers as well as a compliant sump.UPDATE 1/28/09: Los Angeles County is allowing Paramount drain covers on equalizer lines/and twin main drains WITHOUT additional sump work! UPDATE 2/23/09: As of 2/09/09 Los Angeles County is allowing one of the pump shut off or vacuum release devices with a single main drain (AND approved main drain cover)for pools without equalizer lines and NO additional sump work.Also-a proper skimmer is defined as having either: an equalizer line or; connected to a proper main drain which is two drains....or one unblock-able...or a main drain with proper cover AND a SVRS device on pump. 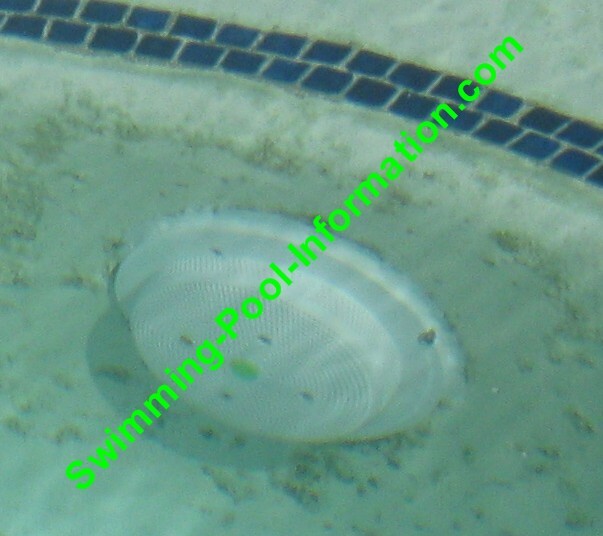 I believe equalizer lines (the side port of public pool skimmers) installed above skimmer basket have such a low probability of entrapment that it is obsessive/compulsive to require a safety cover for them too...however,an equalizer port installed below the skimmer basket COULD possibly entrap someone if the basket was full of debris (at this time the Los Angles Health Dept. makes no distintion BOTH must be covered). UPDATE 12/4/09: I explained to the Los Angeles Health Department that I was getting lots of different answers from inspectors regarding equalizer lines and wanted to know if an equalizer line on a skimmer attached to main drain could be capped off and sealed.The man on phone spoke to the head man in charge who told me equalizer lines CANNOT be capped off and MUST be covered with approved covers (the same cover as a main drain cover). The same day I told a customer the news that her equalizer line had to be covered and she said she just talked to the inspector and was told it did NOT need to be covered and could be left as is. BUT - on 1/6/10 I received a paper from the health dept stating "A skimmer connected to a main drain should not have an equalizer line...If main drain line is both functional and connected to skimmer indicate so,and that the redundant equalizer line will be capped and patched over." Jonathan's Pool Service 818-345-POOL(7665) or hit the "contact me" button to your left.